Step out with a little sass this season with Born’s Fredrika. 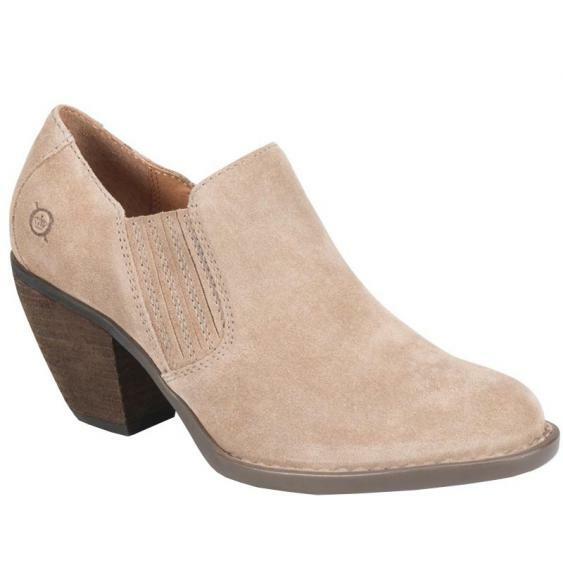 This stunning little bootie will make your days so comfortable with its rubber outsole, microfiber-latex insole, and steel shank for cushion and support. For ease of access Born has combined functionality with style. The elastic goring on the sides are covered with matching leather strips and a stitch detail. The 2 ¾ inch heel and leather upper go with anything in your closet, be it dressing for conquering a work meeting or making the town stand on end. Take it all on with Born’s Fredrika.